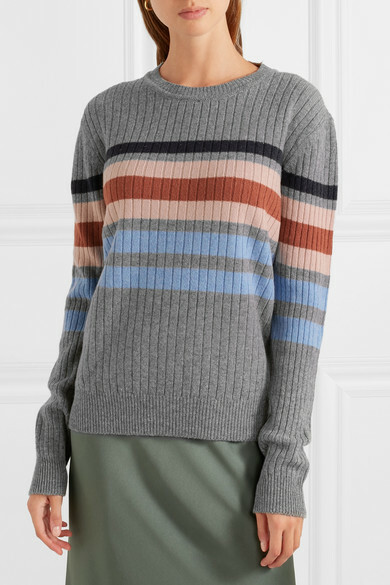 Markus Lupfer plays with unexpected color combinations and cuts in its Pre-Fall '18 collection. 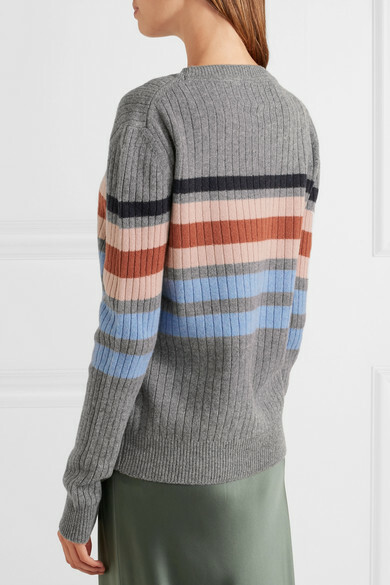 This 'Mia' sweater is made from ribbed merino wool and striped with cornflower-blue, blush and terracotta hues. 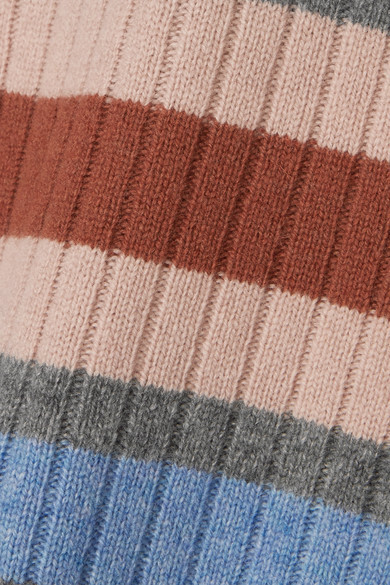 Try it layered over a longer turtleneck knit or collared shirt. 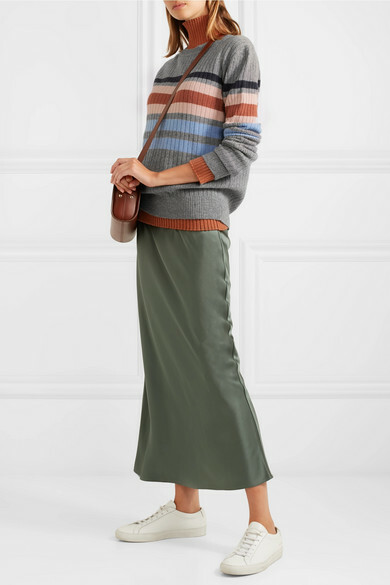 Shown here with: Victoria Beckham Sweater, Joseph Dress, A.P.C. Atelier de Production et de Création Shoulder bag, Common Projects Sneakers, Loren Stewart Earrings.